tHE Launch Control Simulator at the Cape Canaveral Air Force Station Launch Complex 14 Blockhouse. 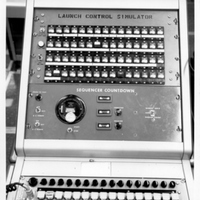 This console likely allowed the launch team in Launch Complex 14's blockhouse to practice countdowns under simulated conditions. This could have allowed drills for normal and abnormal conditions during the launch. 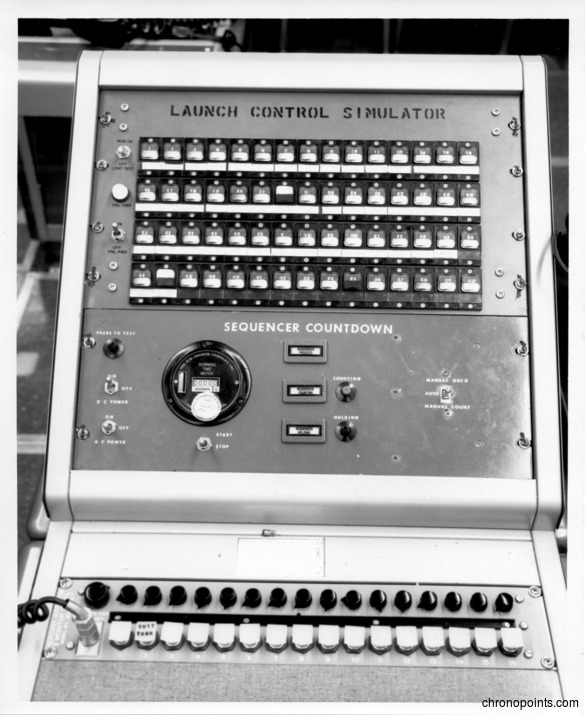 “Launch Control Simulator Console at the Cape Canaveral Air Force Station Launch Complex 14 Blockhouse.” RICHES of Central Florida accessed April 26, 2019, https://richesmi.cah.ucf.edu/omeka/items/show/4988.